The "culprit." Image: Nick Fash/Heal the Bay. The pressure to blog on Heal the Bay’s biggest star is overwhelming. I spend way too many hours each week blabbing on about TMDLs, toxicity levels, water recycling, you name it, in a bid to engage jaded and overwhelmed members of the media. But the public has spoken – they love critters. 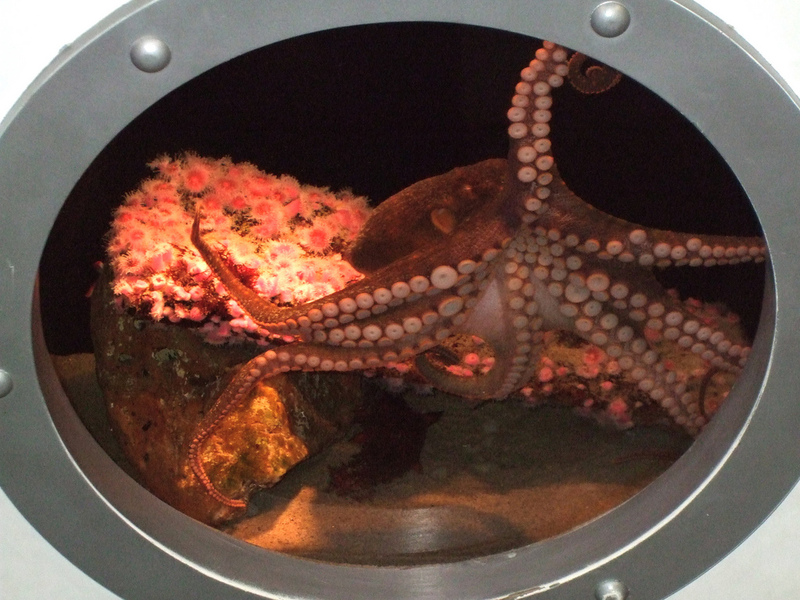 Because the eight-armed vandal nearly destroyed our aquarium, she’s a national celebrity. Her story was the most widely emailed-item on the L.A. Times website this morning, and journalists at the Guardian and other European newspapers have written about her dislodging some of the valves at Heal the Bay’s Santa Monica Pier Aquarium and flooding the joint. She’s on NPR, CNN and Fox and all the local TV newscasts. And what does she have to say for herself? Nothing. Our lovable brat isn’t even conducting interviews. Maybe A-Rod could learn something from her behavior. What we really need is someone to adopt the glass-sucking cephalopod under our Aquadoption program. 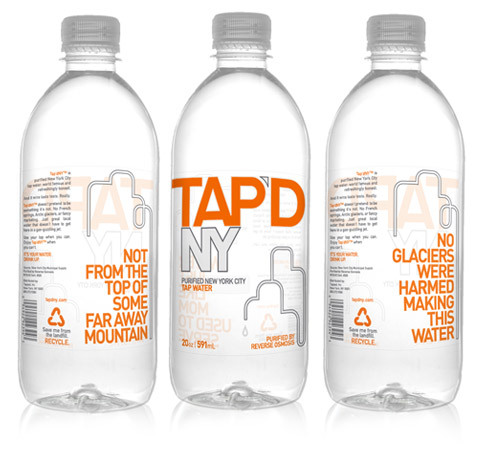 The Los Angeles Times recently profiled a new bottled water business in New York called Tap’d NY. The company is just getting going, having sold about 50,000 bottles of water at a $1.50 a pop. The twist? The water comes from the tap, pumped directly from a New York City main. Given that the water costs them less than .07 of a cent per gallon, the business owners are charging a stunning 200,000% mark-up. Pretty sweet. I guess this proves two things. First, P.T. Barnum was right: A sucker is born every minute. Second, that’s a lot of profit margin to pay for the plastic bottles that contain the water, coming at an environmental expense of polluted waterways and increased greenhouse gas emissions. The Sundance award-winning eco-documentary “The Cove” has justifiably been making some waves in the media. I was lucky enough to go to a screening this week that was attended by the director, former National Geographic photographer Louie Psihoyos. 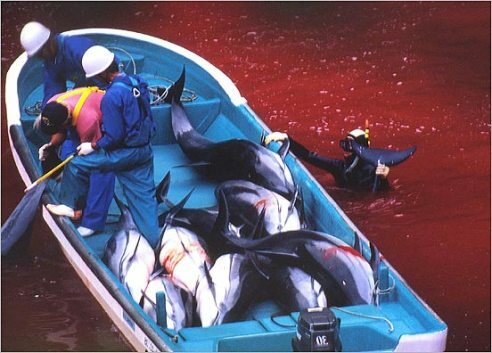 The documentary chronicles a film crew catching the Japanese fishing village of Taiji in the act of mass dolphin killing in a small cove at a national park. The cover-up by the village to hide their deed is similar to every “hidden secret” horror movie ever made, only the threat is not vampires, zombies, or aliens from outer space. As I opened up what’s left of the L.A. Times this morning, I couldn’t help but feel sick to my stomach. 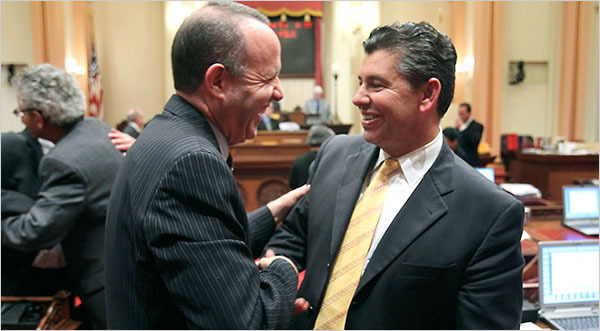 I almost lost my Captain Crunch after seeing photos of smiling legislators celebrating a budget that offers meaningless “reform” concessions to state Sen. Abel Maldonado and result in so much pain for so many Californians. While Rome was burning, state employees got furloughed, thousands of people received pink slips, and hundreds of environmental, research and construction projects were stopped, leading to significant layoffs. Hip, hip, hooray! Every civic crisis provides opportunity for leadership and reform. Elected officials blew it on both. 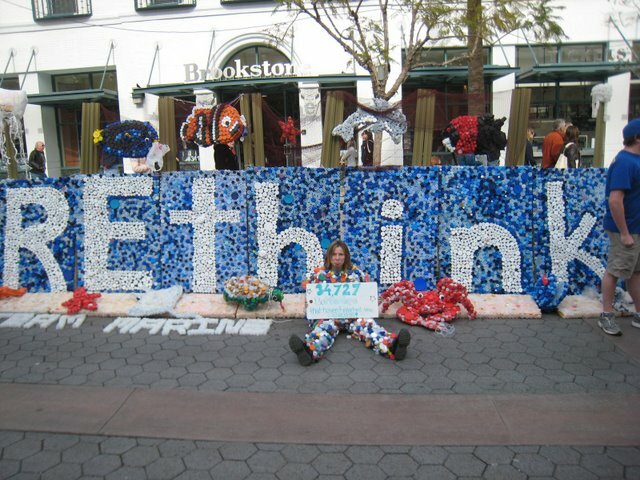 Last Sunday on the Santa Monica Promenade, the students from Santa Monica High School’s Team Marine unveiled their opus to the global marine debris crisis: REthink. The 7′ x 21′ art installation contains 34,727 bottle caps and includes a wide variety of marine life species made of the plastic tops. Think of a Rose Parade float, but one made of trash that doesn’t degrade in the marine environment after a millennium. The students chose the “Rethink” theme to emphasize that solving the marine debris crisis involves simple personal choices. The state budget crisis has, sadly, led to cuts in worthy government-funded programs across California. One of the latest victims is the state’s beach monitoring program, which measures water quality at hundreds of sites along the California coastline. Collected water samples constitute the cornerstone of Heal the Bay’s Beach Report Card, and more importantly, the basis of health agency decision-making on protecting public health. With the governor cutting regular ocean testing with his blue pencil, and the budget crisis leading to a freeze on all state bond-funded programs, there now is no more state money to pay for beach monitoring. How have the health agencies responded? Last Friday afternoon, state Sen. Fran Pavley hosted a Natural Resources and Water Committee hearing at Santa Monica College, accompanied by state Sen. John Benoit and Assemblymember Bob Blumenfield. The theme of the hearing was “improving water conservation and management in Southern California.” Speakers included Lester Snow, director of the Department of Water Resources, and representatives from MWD, LADWP, Long Beach, Irvine Ranch Water District and the Orange County Water District. TreePeople leader Andy Lipkis served as the token enviro. They spoke to a standing-room only crowd in a hearing room that normally serves as a classroom. No room for me. I was banished to the children’s room next door. I’m not sure why the Senate couldn’t find a room in Fran’s district that could hold more than 60 people.